—Steamship Authority General Manager Bob Davis, speaking to the Vineyard Gazette last month for their story on increasing summer traffic. "She has her wagon, and her flower crown, and she wanted to find something new. She was on a mission to find animals and new sticks, but instead she found moss. To her, that was something very new because she never paid attention to it before. She was amazed at how soft it was. She wanted to take it home and save it but didn’t want to dig it up. 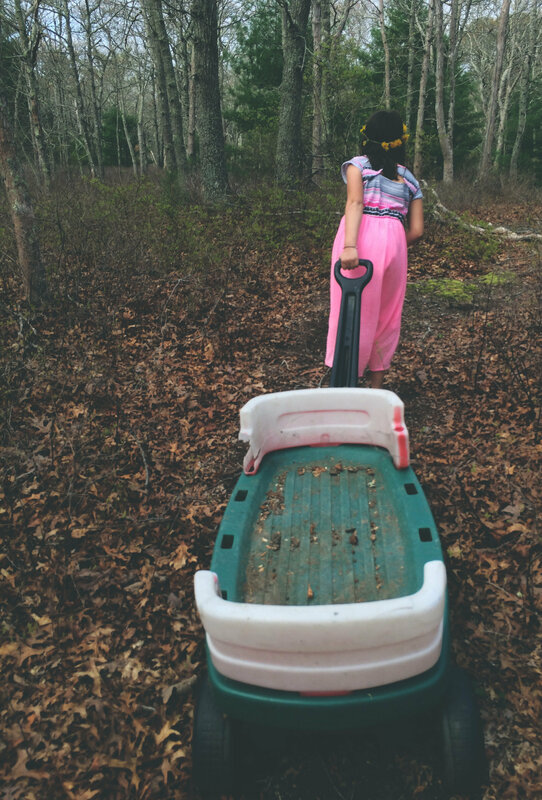 Now all she wants to do is go on more adventures." Lexus was one of six Special Distinction winners in the 2017 edition of our high school art contest. View the rest of the entries, then check out the Winners' Gallery, complete with written descriptions by the artists themselves! Wednesday, Sept. 13, 1:00 - 3:00 pm, Edgartown. Staff from U.S. Fish and Wildlife, Mass Division of Fisheries and Wildlife, and The Trustees of Reservations give a presentation on shorebirds and the challenges of sharing the beach with humans. In the Selectmen's meeting room at the Edg. Town Hall, free, for more info contact the Trustees at (508) 693-7662. Wednesday, Sept. 13, 6:00 pm, Oak Bluffs. Recently, the Town of Oak Bluffs undertook a study to answer an important question: Is it possible to quantify, in economic terms, the value that nature provides to us all — for free? This week, the results are finally unveiled in a presentation by the consultant who conducted the study. A free event at the O.B. Library, for more info contact the Town office at (508) 693-3554. In collaboration with the Edgartown Library, this Saturday Robert Culbert leads a birding excursion from Lighthouse Beach to Eel Pond. The walk is free, but space is limited; call the library at (508) 627-4221 to register. At present, localities are empowered to regulate pesticides only in those states shaded in yellow. 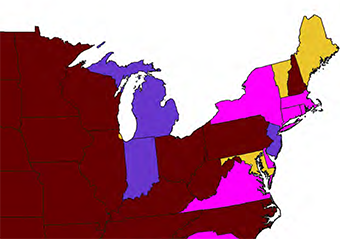 Other colors represent different methods of state preemption of local authority. Map from "Beyond Pesticides", click for full size. Something exciting is bubbling up in the Massachusetts Statehouse. 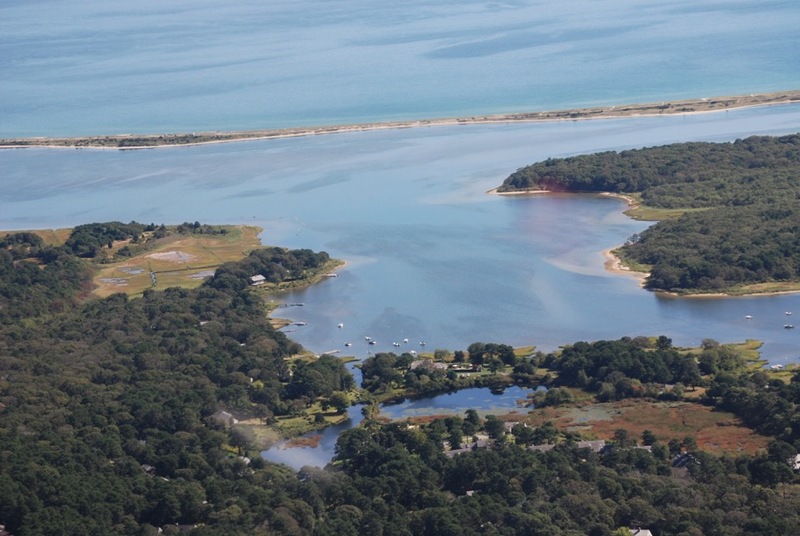 Dylan Fernandes, newly elected in 2016 to represent Dukes, Nantucket, and Barnstable Counties in the state legislature, has introduced a bill that is of great importance both to supporters of the natural environment and local control of government. The bill, HD.4228, would restore towns’ authority to regulate pesticides, a power that currently is preempted by state law. Understandably, preemption is unpopular within the localities that have had their power stripped away, especially when it results in law contrary to the wishes of the people. That is quite clearly the case on the Cape and Islands, where greater pesticide restrictions would almost surely be passed if it were legal. This fall, the electric utility Eversource plans to resume spraying herbicide to control vegetation over the objections of Towns, the MV Commission, and essentially anyone who has offered an opinion on the matter. (For the VCS view, please see the second story in this Almanac). It is far too soon to start chilling the champagne, but many thanks are in order to Rep. Fernandes and his staff for getting the ball rolling on this important issue! Click here to see the full language, provided to VCS by Mr. Fernandes. The Living Local Harvest Festival returns on Saturday, September 23rd from 10 am to 4 pm with great local food, music, animals, games and activities for kids of all ages. 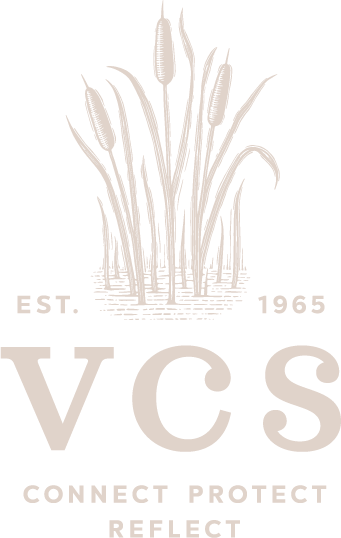 The annual event was founded by four Island organizations — VCS, the M.V. Agricultural Society, Vineyard Energy Project, and Island Grown Initiative — to promote sustainable living on our island by encouraging local food production and the local economy, renewable energy, and resource conservation. This year's festival will feature several informative panel discussions, including the next event in our ongoing plastics reduction campaign. "Breaking Up with Plastics," featuring guests Tyson Bottenus (editor, Ocean Watch Magazine) and Clint Richmond (Mass. Sierra Club), our own Samantha Look and Nina Carter Hitchen, and moderator Heather Goldstone of WCAI, will discuss plastic pollution and what you can do to help. We hope to see you there! As with all natural disasters, there is a great need for charitable giving in the wake of Hurricanes Irma and Harvey. Unfortunately, the most well-known disaster relief organization of all, the American Red Cross, has suffered its own devastating storm in recent years, leaving many donors unsure of where to direct their help. An extensive series of reports by ProPublica and NPR, followed up by a US Senate inquiry, exposed the organization’s long record of ineffectiveness, inefficiency, deception and lack of transparency. So, what is the cautious donor to do? There is no easy answer, unfortunately, but there are a lot of valuable resources out there if you have the time. Charity Navigator and Charity Watch are two good sources of objective information on efficiency and transparency; however, it should be noted that while their quantitative, data-based approach is great for leveling the playing field when comparing hundreds of organizations, it lends itself to large blind spots. (It's striking that they rate the Red Cross around the middle of the pack; perhaps they’re not considering the scandals, or are taking the organizations’ self-reporting at least somewhat seriously.) For tips on choosing relief charities in general, this short piece from ProPublica is a nice start, and for those who just want to make a donation today with confidence that it’s going to be used well, we recommend the two links above, which give ratings for the various charities working on Irma relief.